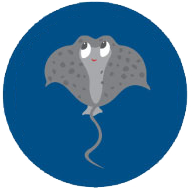 Our staff takes a gentle and patient approach when teaching children’s swimming lessons. 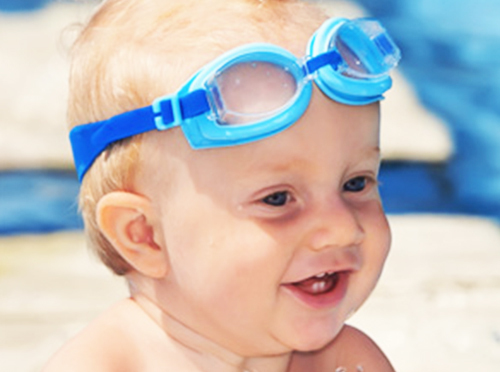 Babies, toddlers, and their families who come through our programs learn the fundamentals from our swim classes. The goal is for your child to have respect for the water and for us to show respect back to them while they are learning. 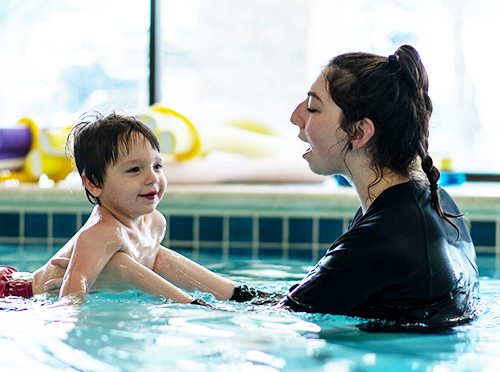 Time and again, we’ve seen the process of children learning how to swim and that the more they are motivated and shown sensitivity to their needs and ability to learn, the better they succeed. Most importantly, the kids have fun while learning. A child’s journey to adulthood has foundations beginning in early childhood, including a need to become accustomed to water. Swimming lessons help children develop their perception of the watery environment around them, and they also help improve alertness and concentration in all activities throughout life. 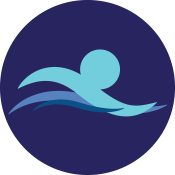 Studies by Griffith University have shown that children (under 5 years of age) participating in swimming adds benefits beyond just water safety. 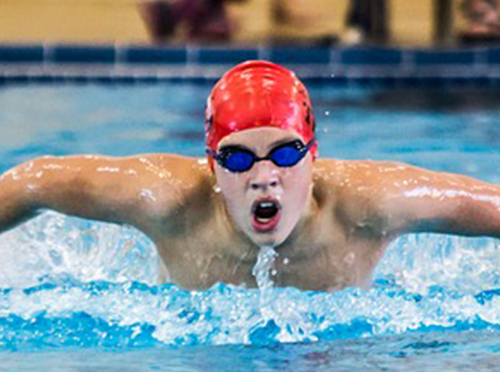 Children who swim are demonstrating more advanced cognitive and physical abilities than other children. 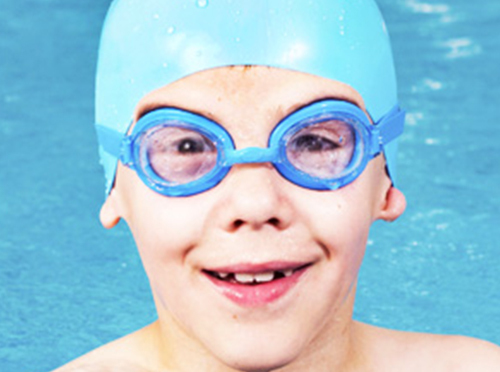 Findings of this study have indicated that swimming children have an advantage when starting school. Children were anywhere from six to 15 months ahead of the normal population when it came to cognitive skills, problem solving in mathematics, counting, language and following instructions. 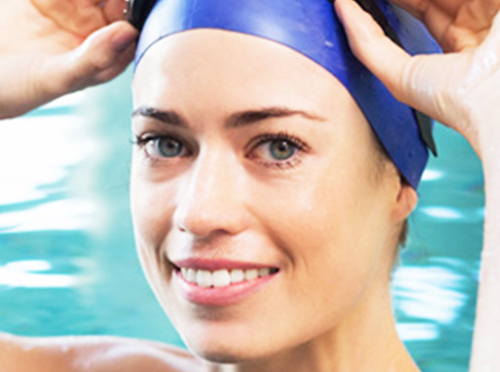 Why Jim Montgomery Swim School? Jim Montgomery is a legend in the water. From his earliest days competing under the coaching of Doc Counsilman at Indiana University, to his Olympic Gold Medals and Masters World Championships, Jim has formed a bond with, and love for, the water that he desires to share with everyone. Jim has hired and trained a tremendous staff dedicated to the instruction of infants, children, and even adults who want to break a lifelong fear of water. 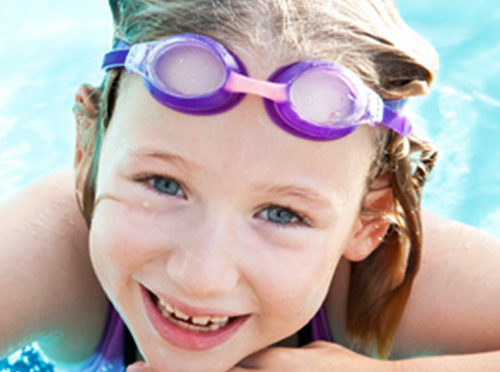 The Jim Montgomery Swim School is open year-round and offers flexible options for children and adults with different schedules. 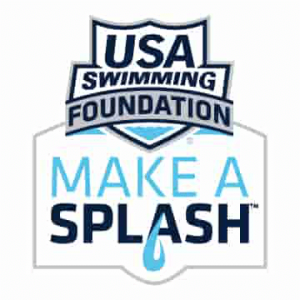 We want to provide a safe, nurturing and noncompetitive environment for everyone to learn and become comfortable, confident swimmers.